NEW YORK--(BUSINESS WIRE)--American Express (NYSE: AXP) today announced enhanced premium business and travel solutions for Business Platinum Card Members coming in 2019. Designed for the modern mobile and global working world, updates to the Business Platinum Card include a suite of solutions to improve productivity and an updated rewards structure that benefits business travelers’ lives on the go. Learn more about and find the terms for these existing rewards options and benefits of the Business Platinum Card at https://www.americanexpress.com/businessplatinum. 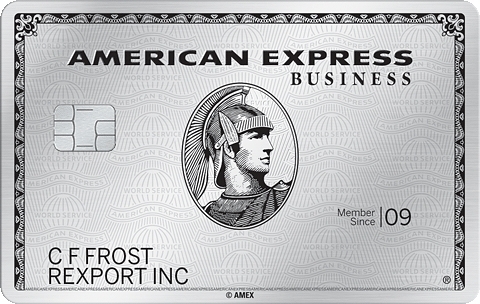 More information and full benefits of the Business Platinum Card can be found at https://www.americanexpress.com/businessplatinum. 1 The American Express SME Pulse 2018: Strategies for Sustainable Growth report was conducted by Oxford Economics on behalf of American Express. In October and November 2017, Oxford Economics surveyed senior executives at 3,000 small and mid-sized enterprises (SMEs), ranging in size from 10 to 250 employees across 12 countries and 16 industries.